Your fly line is probably one of the most important tools that you use. Most fly lines are 90 feet in length but most people including myself only use about the first 50 feet. A quick inspection of your fly line for nicks, cuts and cracks will determine if it needs to be replaced. Fly lines get dirty which can affect the way it casts and floats. Cleaning your fly line is easy to do and will prolong the life of your line. A bucket of warm soapy water and a sponge will do a very good job. 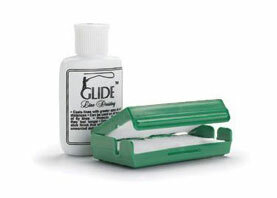 After cleaning your line, applying a dressing to your fly line will help it slide through the guides easily. I prefer a dressing called Glide. I have found that it is easy to apply and helps keep the line floating high. Depending on how often you fish, determines how often you should clean your line. If you are getting out on the water every weekend then I would suggest you clean your line monthly. If you only are able to go fishing 6 days a year then once a year should be sufficient. Check out this video from Scientific Anglers about cleaning your lines. For trout fishing the reel doesn't play a huge part but needs some attention as well. It is a good idea to remove the spool and inspect the inside of your reel. Small grit and grime can get inside your reel and affect it's performance. Most trout fishing reels do not require much more than a rinse off, maybe a bit of work with a q-tip and a little bit of reel oil. You can use a can of compressed air as well to blow any small particles out of the small crevices as well. Fly reels are usually pretty basic and don't require too much maintenance, a quick visual inspection of the inside will determine what steps needed to be followed. Another suggestion would be to examine your fly boxes. I know that I don't always dry my flies before returning them to the fly box. Or, that rainy afternoon you were out fishing soaked all your boxes? Rust on your hooks can develop. There is nothing worse than searching for that one specific pattern and finding out the fly is rusted out. Another bad scenario is using a hook that is brittle due to rust and breaks when a fish is hooked. While you have some downtime before your next fishing adventure go through your fly boxes and get rid of any rusty hooks you come across. Wader maintenance is also a fairly easy. 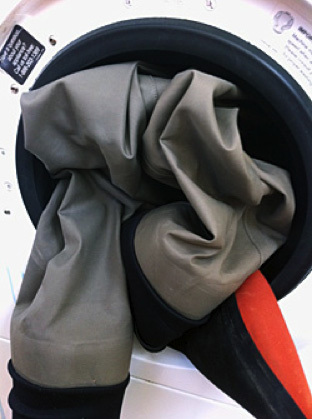 If you know you have a leak, you can check out the article on repairing your breathable waders on the blog. Other than that I like to wash each pair just to clean them up a bit. Heavy use, and a greasy products like fly floatant can stain the outside of your waders. You might even have some unexplained odors you want to remove. Most wader companies endorse washing your waders as it can improve performance and water repellency. You will want to check your specific waders for directions but most companies suggest washing them in a washing machine with cold water and a mild powdered detergent. After washing them you can apply a DWR treatment such as Revivex spray on water repellant. You will need to activate the spray by either using a hair dryer or an iron set on low. I have even put the waders in the dryer to activate the treatment. You can check out the reviews for Revivex on this website. Remember that leaders and tippets are very light sensitive and if your tippet spools have been sitting in the sun all summer they probably need to be replaced. Most of your other equipment will not need much attention. Getting a jumpstart and tuning up you gear for your next trip to the river will insure that the only thing you will have to worry about is what the trout are biting on.